A memorial visitation for Mr. Sam Rodrigues will be from 5-7 p.m. Friday Sept. 14 at Blanchard-St. Denis Funeral Home. A graveside service with military honors will be at 11 a.m. on Saturday, Sept. 15 at Emmanuel Cemetery in Chopin. Sam, 71, and a resident of Natchitoches, passed away Monday, Sept. 10, 2018 in Natchitoches. He was born May 23, 1947 to Raymond “Chino” Rodrigues and Ruby DeLacerda Rodrigues in Natchitoches. He was preceded in death by his parents; a son, Derek Rodrigues; and siblings, Joseph Rodrigues, Melvin Rodrigues, Melba Rodrigues and Una V. Bemelman. 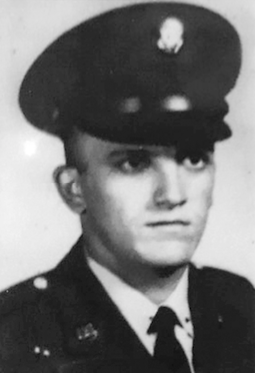 Sam proudly served in the United States Army and was a Vietnam War veteran. He was very proud of his patriotic duty and the love for his country. Most of his life he spent serving in law enforcement, primarily with corrections division. Sam was an avid sports fan, especially football, and was a big Dallas Cowboy fan. Wherever Sam would be, he always seemed to be the life of the party. He enjoyed dancing and having a good time with his family and friends. He will be dearly missed. He is survived by his children, Crystal Mitchell, Robert Rodrigues and Steven Sansom; his identical twin brother, Samuel Rodrigues; and numerous grandchildren, nieces, nephews and one great-grandchild.